Your sensorial journey begins with a cup of iced herb tea made from lavender and verbena. 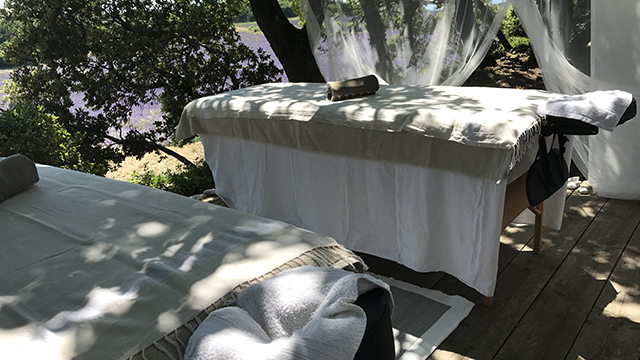 Then enjoy a relaxing gentle body massage with shea butter, and essential oil of lavendin, to release all your tension for a deep sensation of well-being. Floral fragrances surround you, mixing with all the perfumes of nature. Breathe it all in: this unique moment is just for you! 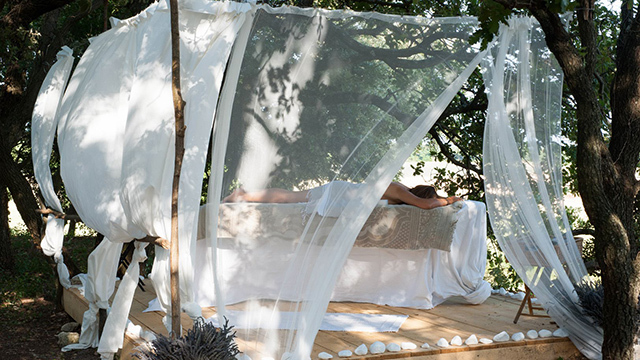 Massage in the fields, May to September : please reserve. May to September : please reserve. 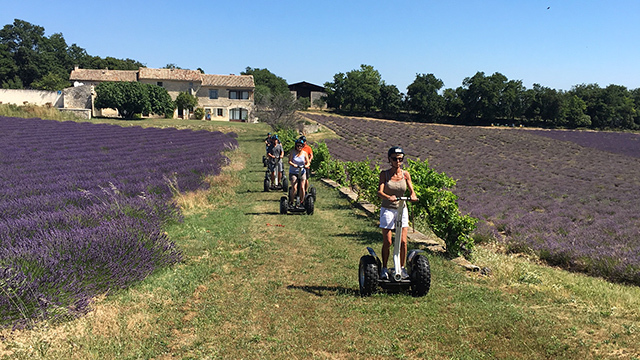 Ride off the Clansayes plateau to discover one of the most beautiful vistas of the lavender fields, whilst steering your Segway across the heart of nature. Take a segway ride All year round : please reserve. Age 12 and over, or over 77lbs (5st7) in weight.